Residents and visitors of Highland Park may also take advantage of the Bush/Meadow Museum Shuttle. 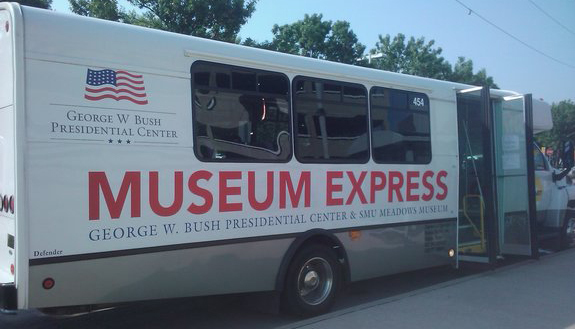 This shuttle provides continuous service from Mockingbird Station to the Bush Center on SMU Boulevard, and on to the Meadows Museum on Bishop Boulevard. Riders may also use The Mustang Express from the Mockingbird Station when navigating around the SMU Campus.